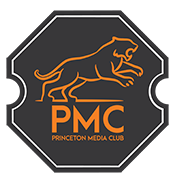 Jason Glickman (Madison Factor), Jordan Berman (OFC: Office Channel) and Mark Censits (CoolVines / WineSherpa) are excited to welcome the PMC: Princeton Media Club to their office for Spring Cocktails on Thursday, June 15 from 6-9pm. The event will feature plenty of networking and a selection of wines and craft beer from CoolVines along with food from Olive’s Catering. The offices of Madison Factor, OFC: Office Channel and CoolVines / WineSherpa are located at 100 Nassau Street, Princeton, NJ 08542 on the 2nd floor above Starbucks.